We’re a pretty active household. I hike year-round with Cholula, sometimes five times in a week. You’ll find John logging the miles on his mountain bike in the warmer months and on his skis when there’s snow, often foregoing the ski lift to hike to the white stuff. 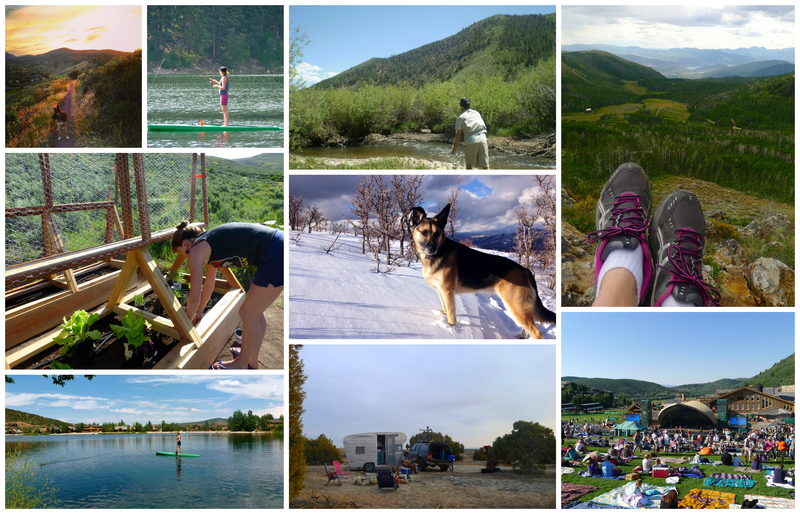 Summertime means paddle boarding, camping, fishing, gardening, golfing, outdoor concerts, and road trips. We’re always on the go, which is why I get excited about delicious food that’s both healthy and portable. 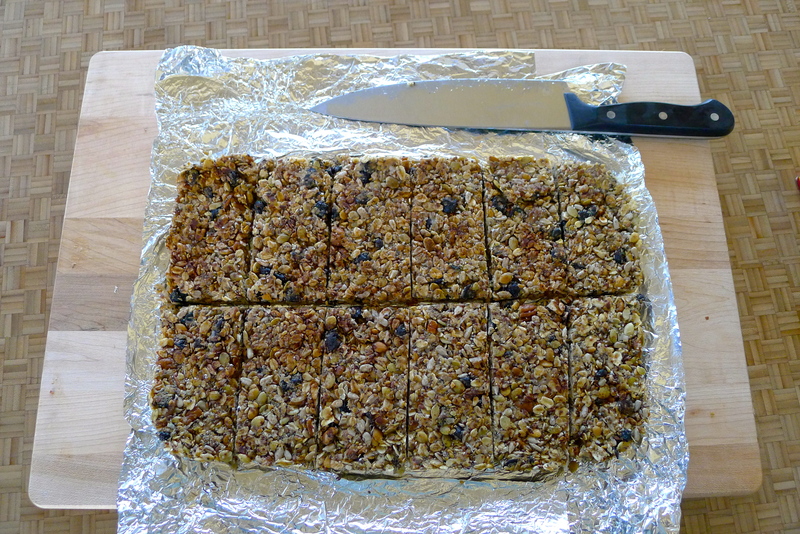 I’ve made homemade power bars in the past using wheat germ and protein powder and molasses. I remember the experience being sticky and difficult and the outcome being just so-so. 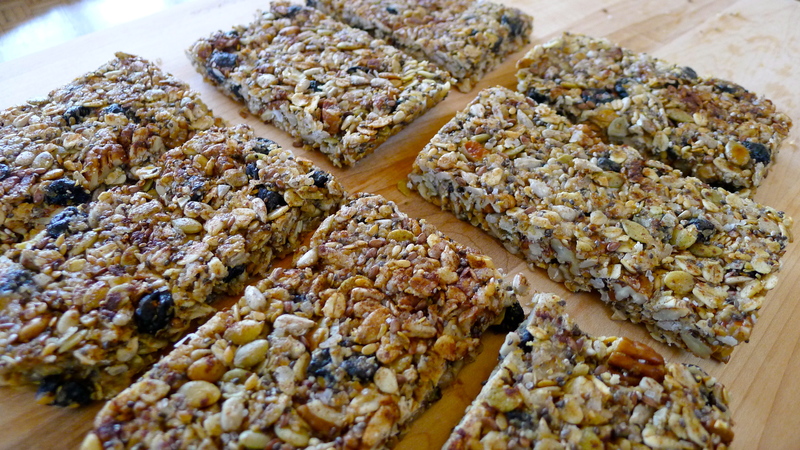 With our sunshine season revving up, I gathered a different combination of healthy goodies to go in these Blueberry Nut Power Bars… and they were a cinch to make. 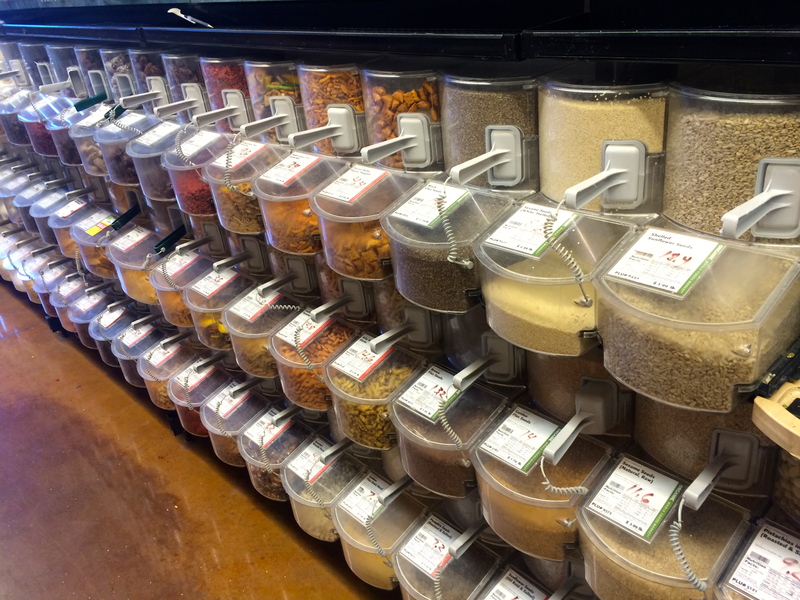 Do you shop in the bulk section? 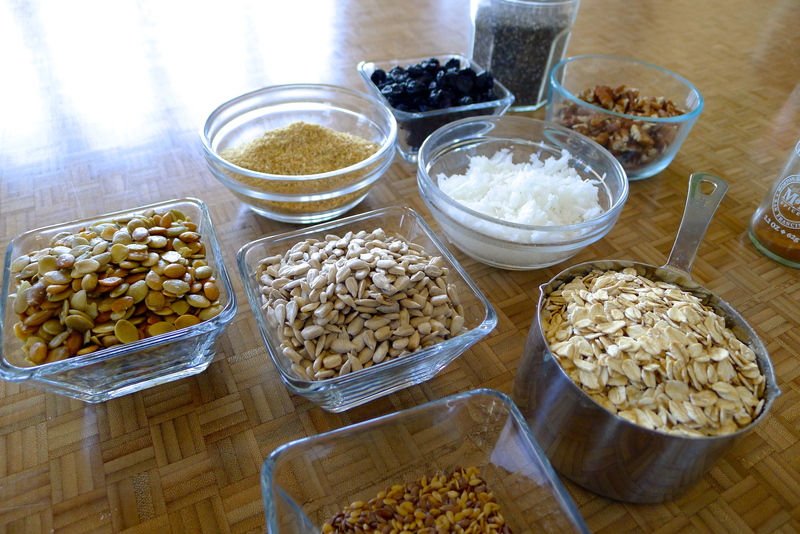 The variety of products is kind of amazing- every kind of grain, different types of flour, dry beans and rice, dried fruit, cereals and granolas, tons of snacks, even fresh peanut and almond butter. 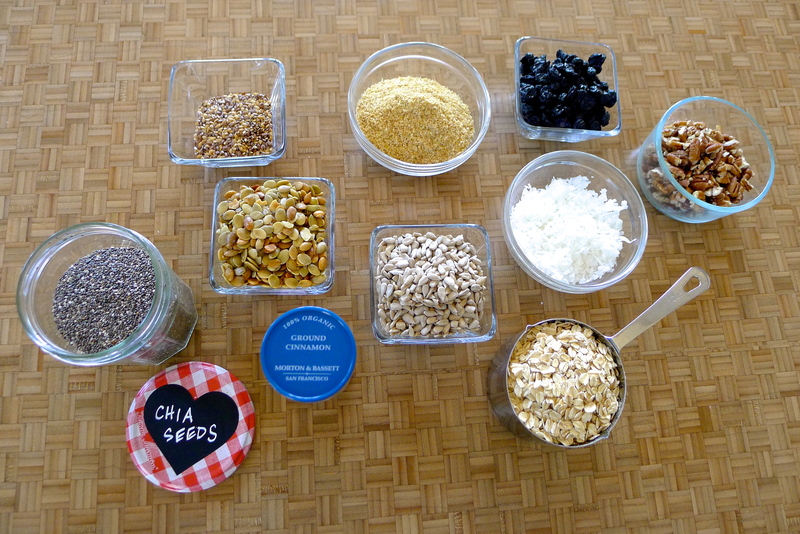 I like the bulk aisle because I can choose how much of an item I want to buy; if a recipe calls for an ingredient I don’t normally buy, I can get just what I need (instead of it sitting in my pantry, unused in the box, for years). The only packaging is the bag you put it in and the twisty-tie to close it (less waste). And psssst: it’s cheaper. 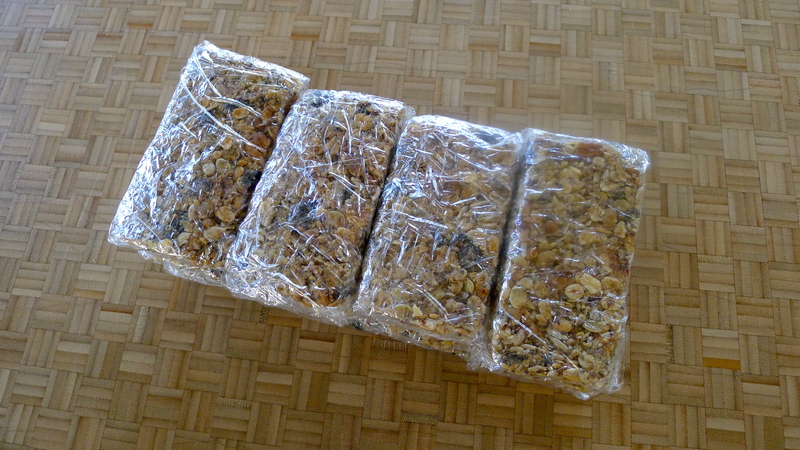 For these bars, I needed flax meal from the bulk aisle. 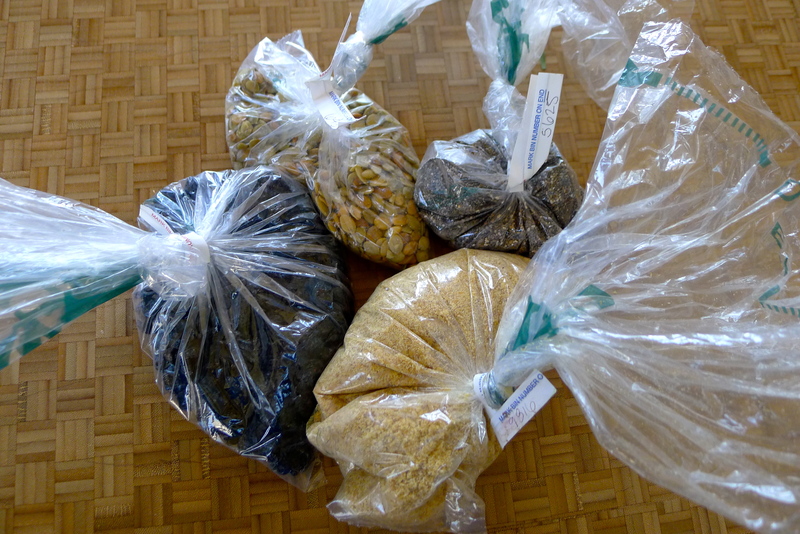 I wandered around and picked up a few other things that sounded like yummy power bar fillers: pumpkin seeds, chia seeds, and dried blueberries. 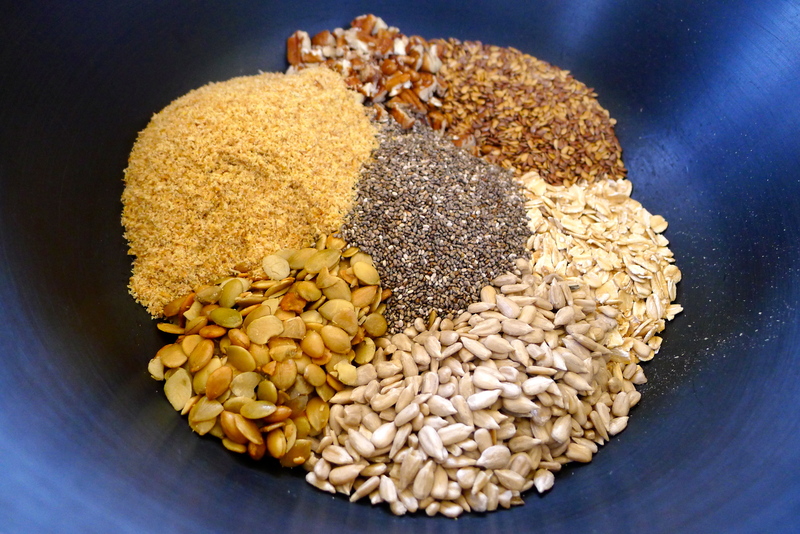 In addition to my bulk aisle treasures, I pulled coconut, flax seed, sunflower seeds, oats, and pecans from my pantry. 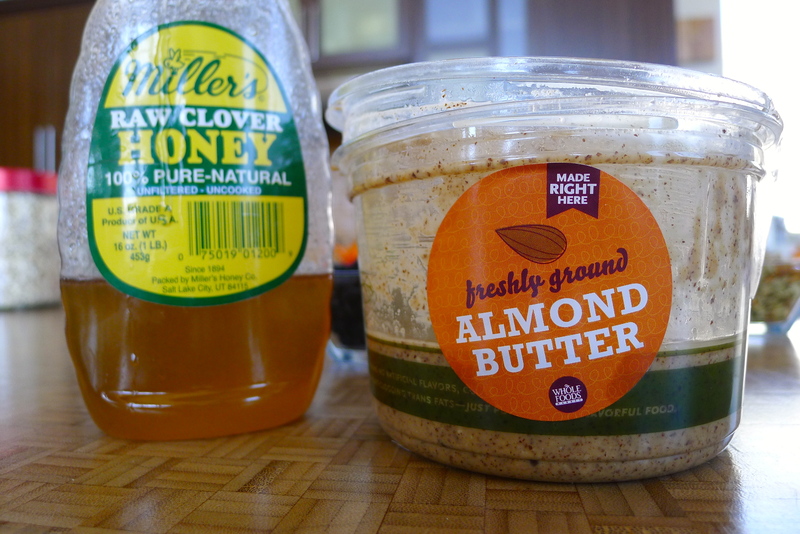 I also grabbed some cinnamon, honey, coconut oil, and John’s midnight snack staple: almond butter. 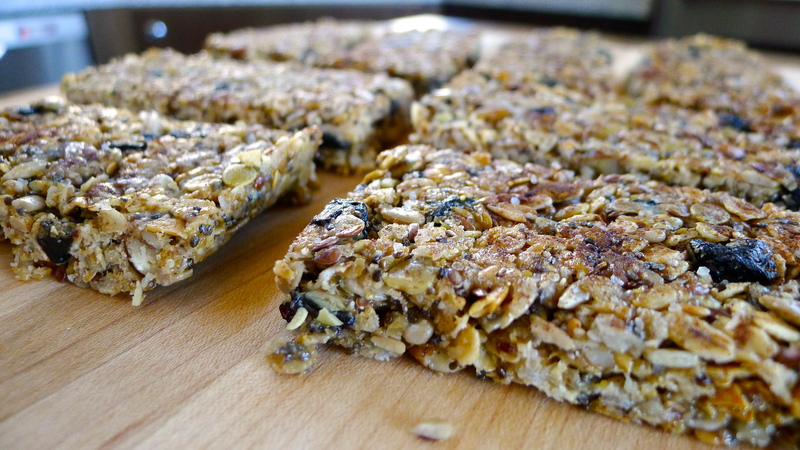 With ingredients like this, there’s no way these power bars will be anything but scrumptious! There’s no baking in this recipe and it takes no time at all. 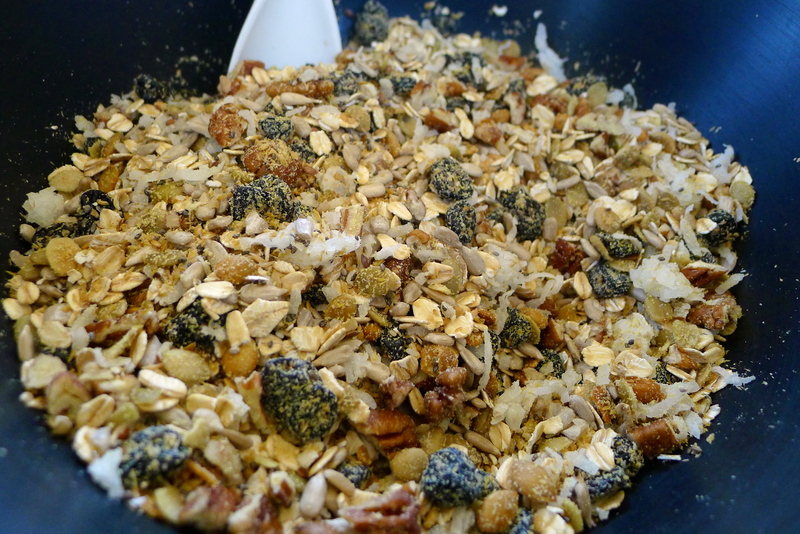 I combined the dry ingredients in a big bowl. 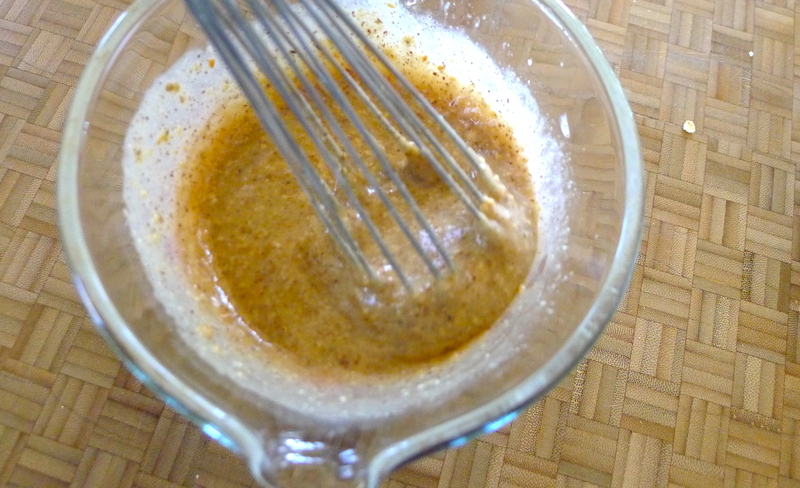 I microwaved the almond butter, honey, and coconut oil and gave it a good whisk before pouring it over the seeds and nuts. 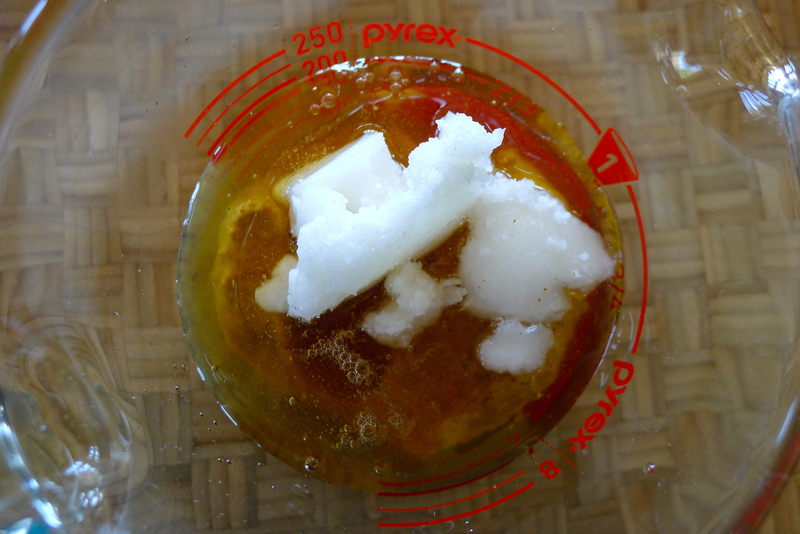 After stirring the ingredients well, I poured the whole thing into a pan lined with sprayed foil and pressed it down firmly, getting a little help with the bottom of a flat measuring cup. I realized I’d forgotten the cinnamon, so I sprinkled a little on top, along with some coarse salt. And then I let it set on the counter for a couple of hours. That’s it! 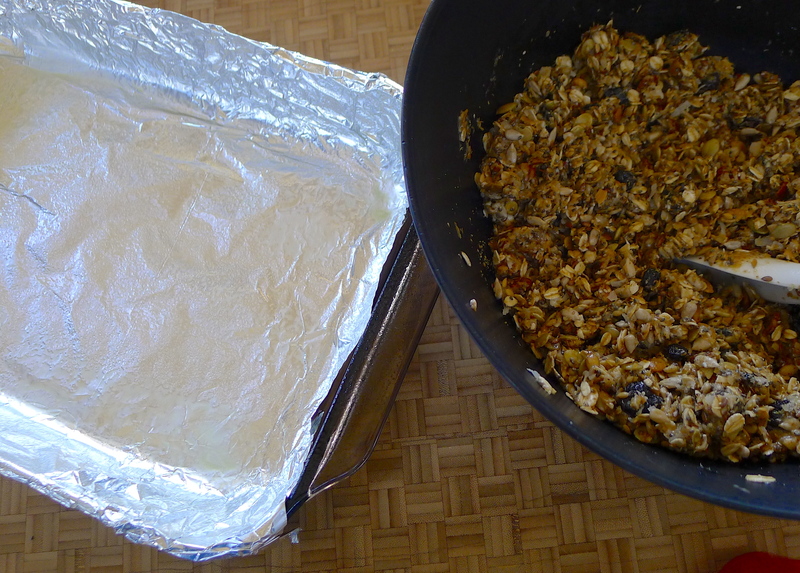 Before I cut the bars, I popped the pan in the freezer for 20 minutes so they’d stay together better. 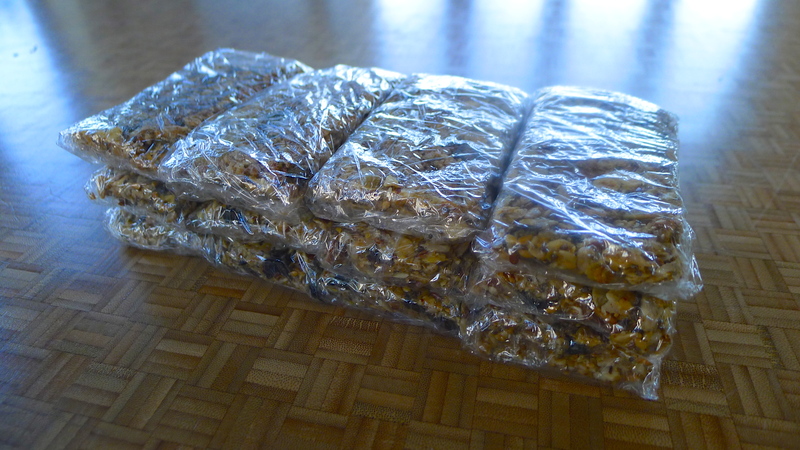 I like to wrap the bars individually and stash them in the freezer; they’re easy to grab and go, and thaw quickly. They are chewy and crunchy at the same time, full of texture with just the right amount of sweetness. 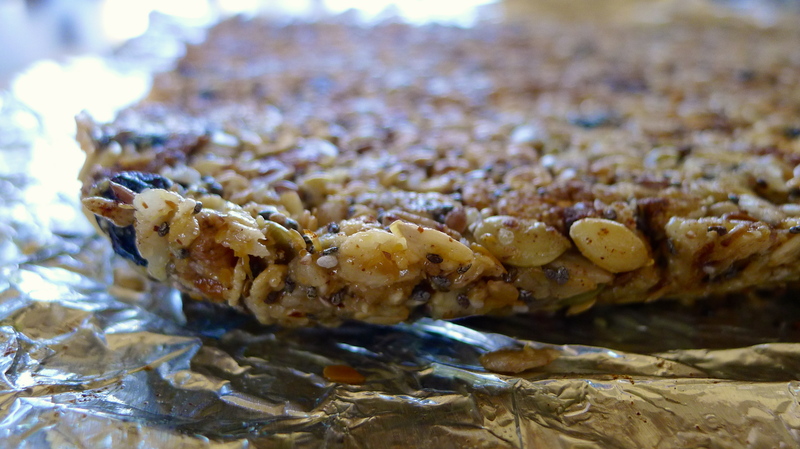 You can easily customize these power bars based on what you have on hand or what you think sounds good: try peanut butter instead of almonds, use different nuts, try agave or maple syrup instead of honey. They’re perfect to stash in a backpack for a hike, John’s Camelbak for a bike tour, or the glove box for a road trip snack. 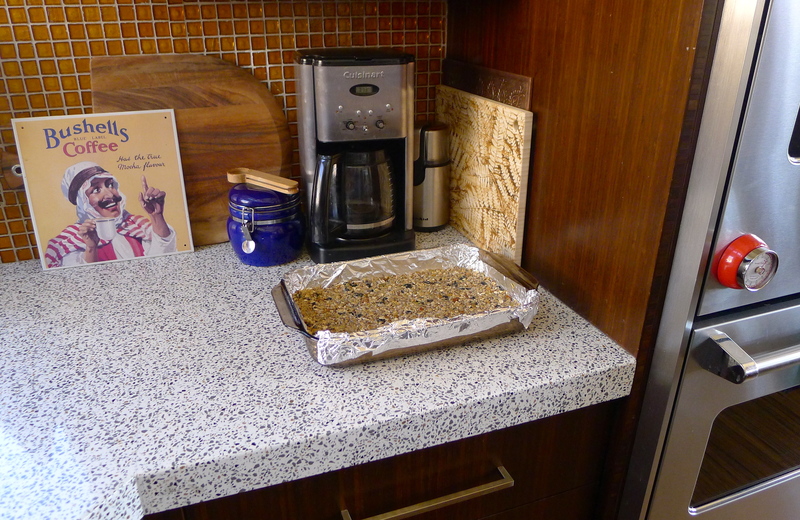 But what I love about these homemade bars is that I know exactly what went into them. 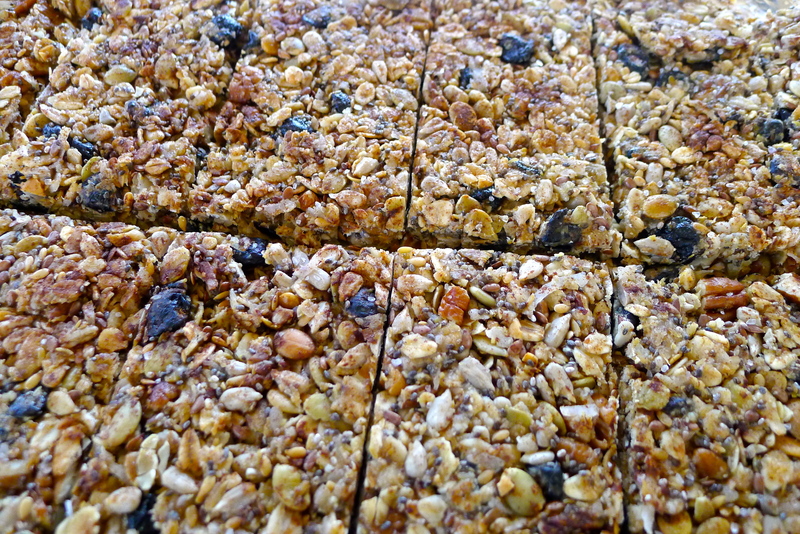 They’re chock-full of healthy, natural ingredients…and, of course, love. 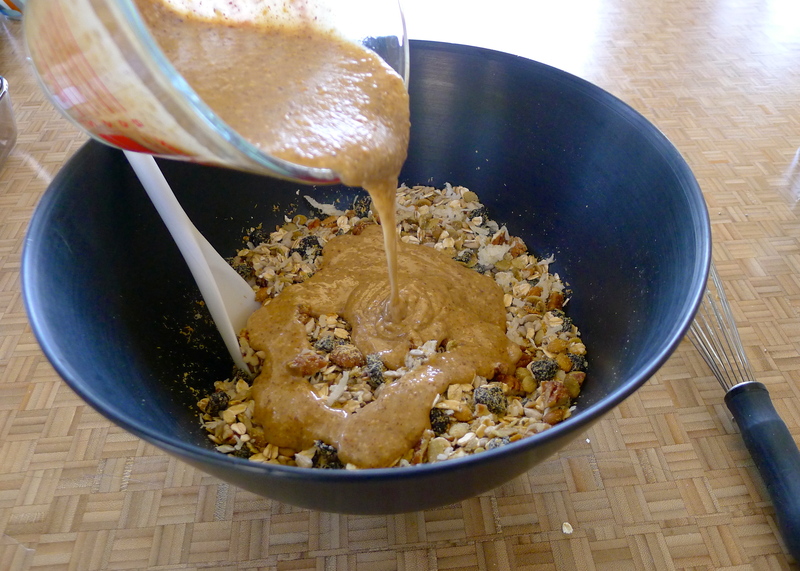 In a large bowl, combine the first eight ingredients. 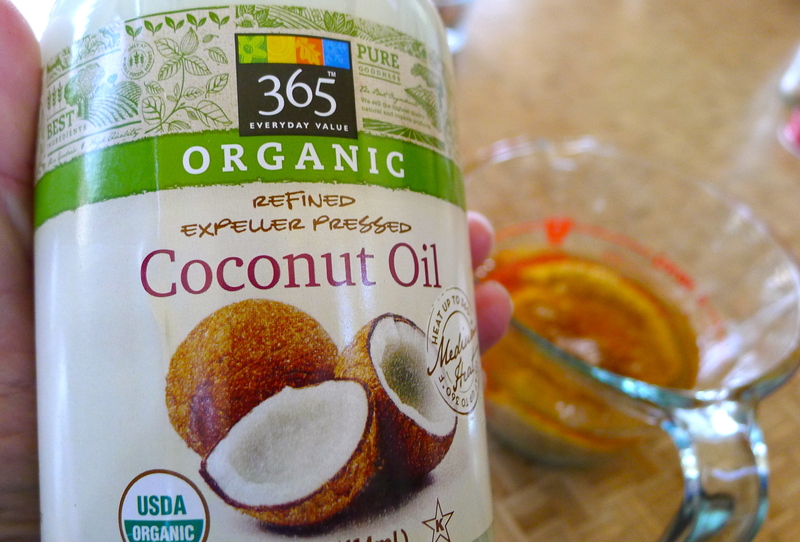 In a small bowl, microwave the honey, almond butter, and coconut oil for about 25 seconds and whisk together. 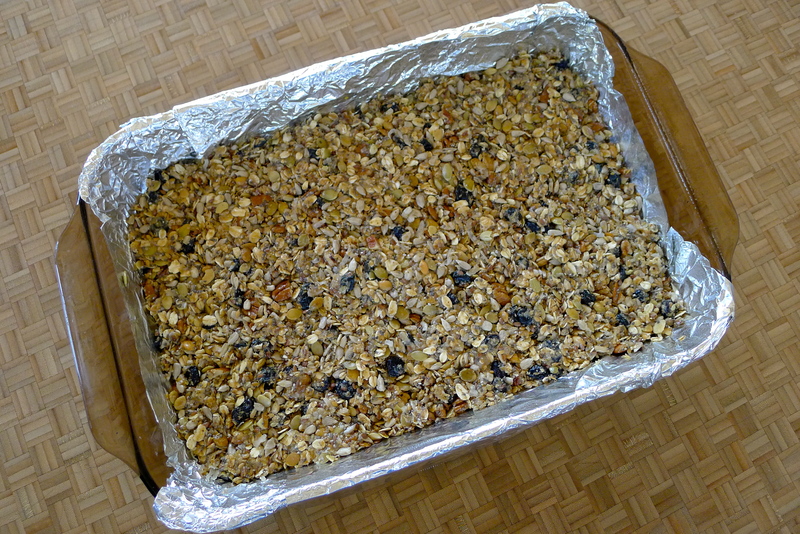 Pour the mixture over the seeds and nuts and mix well, making sure everything is coated. 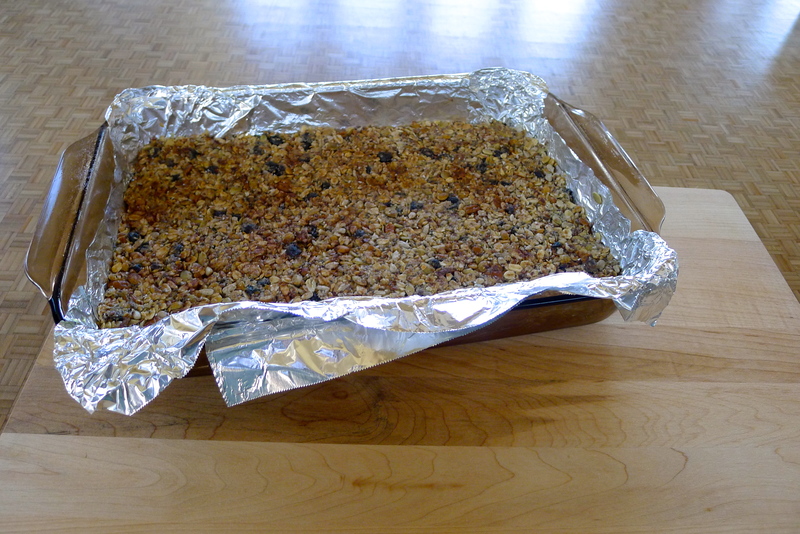 Line a 9 x 12 baking pan with foil and coat it with non-stick spray. 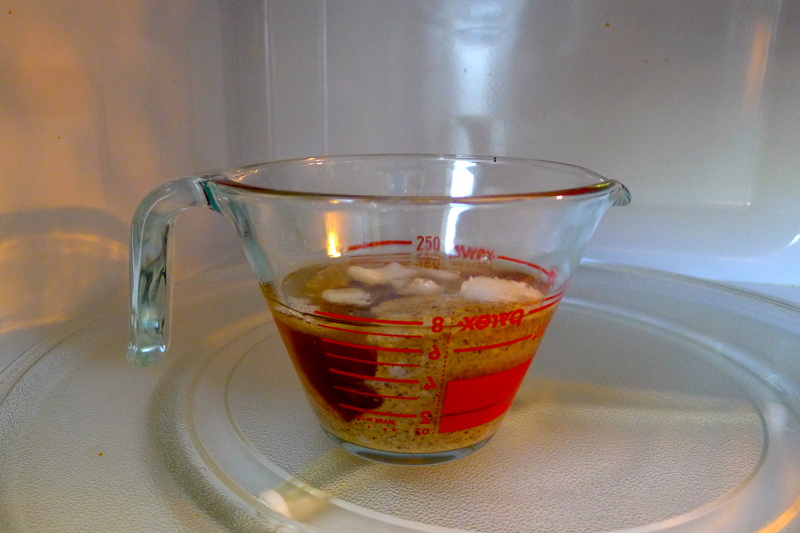 Pour the power bar mixture into the pan and press into an even layer, using the bottom of a flat measuring cup or other hard item to really pack it down firmly. Sprinkle cinnamon and salt over the pan and set aside to set up for at least 2 hours. 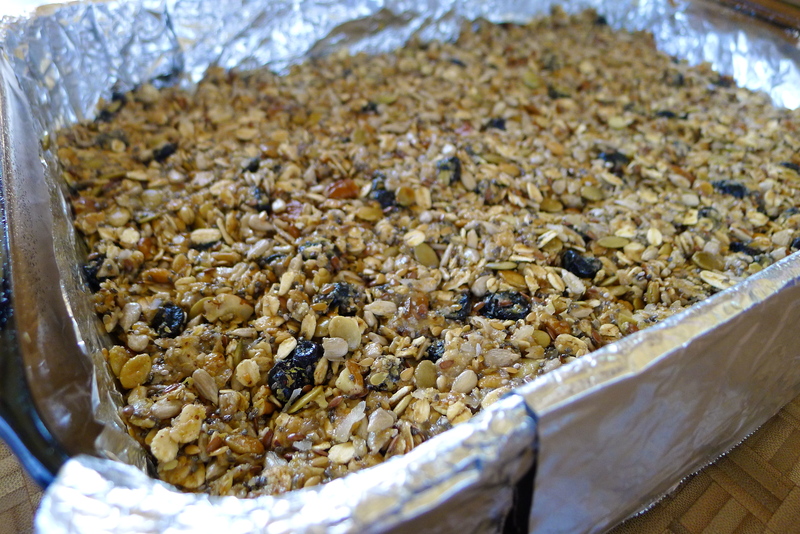 Before cutting into bars, place the whole pan into the freezer for a half and hour for easier cutting. 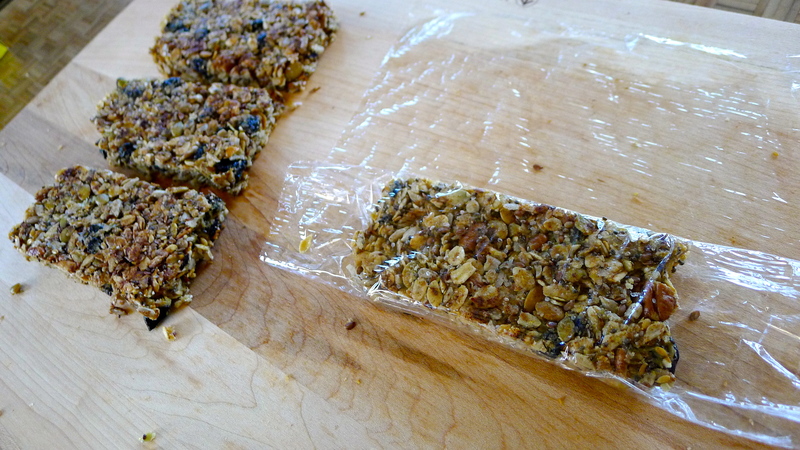 Cut into bars of your desired size and wrap each bar in plastic wrap. Pop in the freezer for grab-and-go snacks. 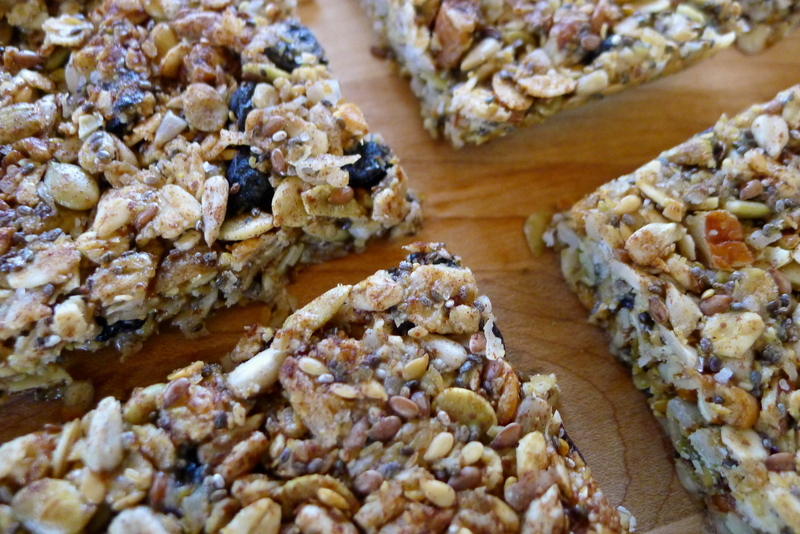 Hooray for an active lifestyle and homemade healthy treats. YUM. The New 52: A new recipe for each week in 2015. 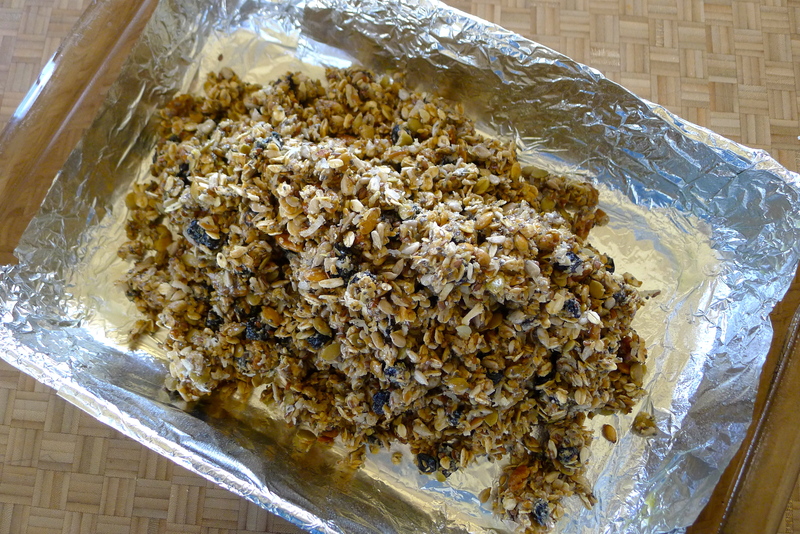 This recipe is featured on AOL Lifestyle! I like this recipe, we need something like this in our house! They are really tasty. I need to find a good binder that will keep them together a bit better, but if you stash them in the freezer, you’re set!